Pros: Top notch and cleverly constructed formula. 60 day money back guarantee. Cons: Not super cheap, but there are good deals for 2 bottles and more. Recommended? : YES – it pretty much does what it says on the tin. 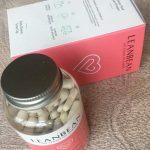 If you like taking capsule supplements but you don’t like having to buy a Muscle Builder and a Fat Burner and maybe a Nootropic separately then this review might be just what you were looking for. 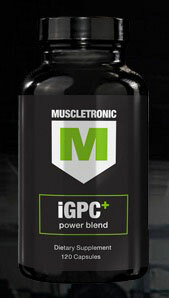 Muscletronic is a new product which is claiming to do all of this in one! And why do the manufacturers think their product can help you build muscle, burn fat and get smarter by using their product? Choice of ingredients, that’s how. Or at least, that’s what they say. 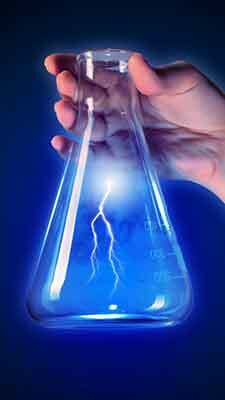 All this, and it can be used by both men and women, and novices to expert. So, pretty much everything is covered there then! can it really do all of that for you though, let’s have a closer look at how Muscletronic works. Studying the recipe is usually the first thing I do on receiving a new supplement to try out. The blend of ingredients is, after all, the means by which it exerts its effects. It’s immediately obvious that Muscletronic hasn’t just been thrown together like so many products in the competing market. Someone with real scientific knowledge of ergogenic compounds – and how they interact with one another – must be on the development team. I say this because nearly all of the compounds in the formula have more than one effect, and work in concert with the other ingredients to exert further benefits. It’s interesting to see what can be done with a couple of thousand milligrams inside some little capsules. Alpha GPC – one of my favourite individual compounds, it increases levels of the neurotransmitter acetylcholine in the brain which provides (a) better cognitive function (focus, drive, positive mood etc.) and (b) allows for greater force to be exerted by the muscles. A great ingredient for muscle building and studying alike. Coleus Forskohlii – increases cAMP in the body’s cells and burns more fat as a result. 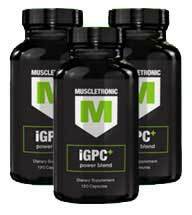 In men it also increases testosterone levels helping improve muscle growth response from training. Even makes the brain for focused. Forskolin, the bioactive component, augments the effects of caffeine to help burn even more fat and provide more energy. It’s a quality inclusion. 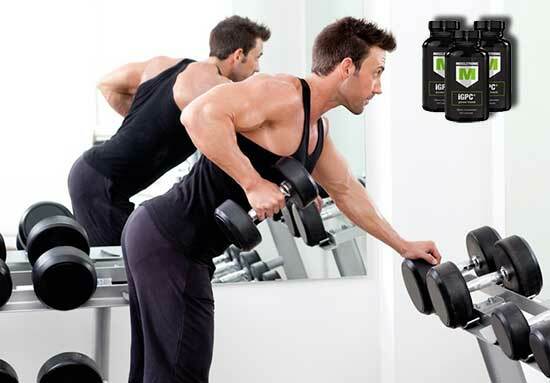 R-ALA – the more potent extract of Alpha Lipoic Acid. It helps in the management of nutrient uptake to the muscles rather than to fat storage, thereby giving the user more energy and power and less flabby folds. Also, this fatty acid delivers rich antioxidant effects and purges the body of free radicals. Rhodiola Rosea – containing SHR-5, this natural stress-reducer helps the user focus on the important things while noticeably improving mood. All while not causing any fatigue. 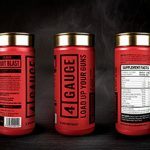 Caffeine – an obvious inclusion in many fat burners, but when included with Forskolin, L-Theanine and Synephrine as it is here, caffeine becomes a whole other beast and truly unleashes its cognitive improving capabilities. It can also help forskolin boost fat burning and energy. L-Theanine – I’ve always liked this one, particularly in conjunction with the stimulants like caffeine and synephrine. It prevents those ingredients from over-stimulating you and causing a crash, while actually improving the cognitive benefits. What’s more is Theanine increases alpha-wave activity in the brain, calming the user’s mind and lifting their mood. p-Synephrine rom Citrus Aurantium – Another potent fat burner and excellent stimulant. In synergy with caffeine and l-theanine, it’s a whole load better as well. Piperine – the black pepper icing on the cake, as it were. This heightens the absorption ratio of the other ingredients in the blend and makes them more bioavailable. Here are a few comments from customers using the product. The Muscletronic recipe is a well oiled machine. If I was to design a 3-in-1 supplement myself it wouldn’t be far off this one. I would say that I probably wouldn’t have included caffeine in my pills but given that they have combined it with L-Theanine, Forskolin and Synephrine I’m glad they have in the end. I can feel it working with every dose. 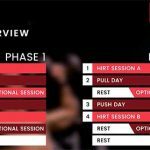 The muscle and fat burning side of things obviously take a couple of weeks to show benefit, but the cognition aspect is amazing. I never thought I could feel relaxed and completely in the zone at the same time. It’s a marvellous effect of Muscletronic! Some caffeine sensitive people might experience a little bit of related side effects but if the dosage guidelines are followed, even they should not have a problem. Always follow the directions on the label. Don’t take supplements if you are on medication, have a medical condition, or are pregnant/breastfeeding. Yes, the manufacturer has given a 60 day money back guarantee with each purchase. Should you wish to avail of it of course, you need to keep all the packaging etc. It’s not something I envisage anyone actually needing but it takes the risk away from the purchase. Most supplement companies don’t offer any kind of guarantee. As mentioned in the Comments on the Formula, I really enjoyed my first batch of Muscletronic, and I’ll be getting more for me and friends. For me, the almost immediate benefits to my mood and reduction of stress really paved the way for the rest to come. In the gym I feel so much more dialled in, and at rest I am more content and less frustrated with working life. 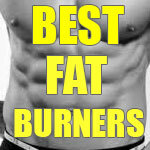 The thermogenic fat burning results are almost like an added bonus! 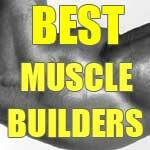 The place to get Muscletronic is the official website. It’s where you shall avail of the best deals and even offers like free worldwide shipping. The most value for money comes from seeing a few months ahead of using Muscletronic. Get a few bottles and you will get some more free too.